"Juliet Astley" and "Peter Curtis" are noms de plume of Norah Lofts. Norah Lofts, née Robinson, trained as a teacher, became a prolific best-selling author both in the UK and USA. She wrote over 50 books and specialized in historical fiction, although she also wrote nonfiction and short stories. Her books are compelling reading and provide a wealth of historically accurate period detail. Several of her novels were turned into films. Norah Lofts chose to issue her mystery novels under the pen name Peter Curtis because she didn't want the many readers of her popular historical fiction to expect classic Norah Lofts-style writing in them. 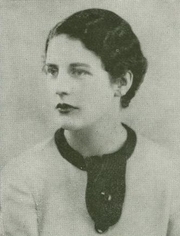 Norah Lofts is currently considered a "single author." If one or more works are by a distinct, homonymous authors, go ahead and split the author. Norah Lofts is composed of 8 names. You can examine and separate out names.